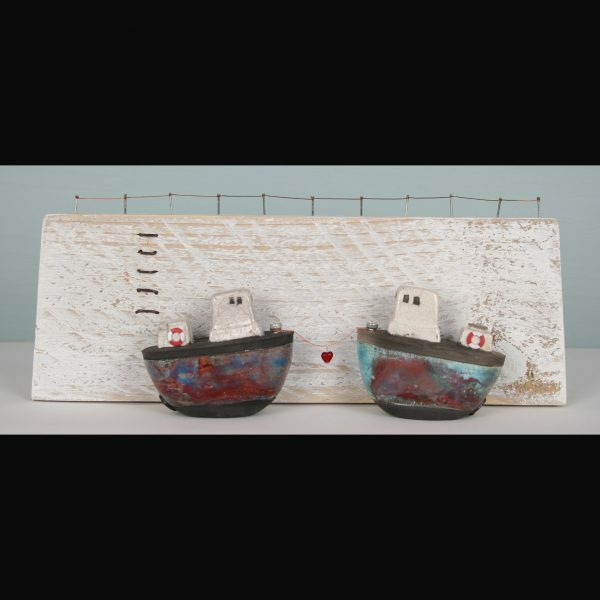 Two little fishing boats have found a safe harbour for the night, and are moored together joined by a teeny red heart. Oh so cute! 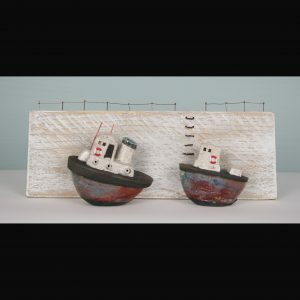 Ceramics boats mounted alongside a wooden harbour wall, with a wire fence and ladder. 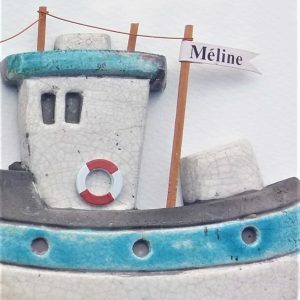 Two little loveboats find a safe harbour at low tide. Ceramic boats, wooden harbour, metal steps and wire fence.Red loveheart on copper wire.